An awesome ride! Serviced & ready. We've lowered the price right into the basement! 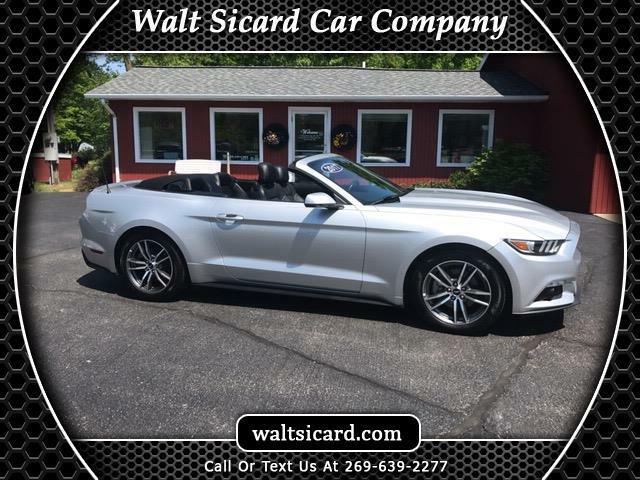 Ingot Silver Metallic 2017 Ford Mustang EcoBoost Premium RWD 6-Speed Automatic with Select-Shift EcoBoost 2.3L I4 GTDi DOHC Turbocharged VCT 2017 Ford Mustang EcoBoost Premium in Ingot Silver Metallic, Sought After Options Include, **STILL UNDER FACTORY WARRANTY**, Climate Controlled Heated/Cooled Front Seats, Exterior Parking Camera Rear, Shaker Pro Audio System, Wheels: 18" x 8" Magnetic Painted/Machined.